In two weeks, my daughter is starting back at school. I'm already anticipating the bigger volume of homework she's going to be bringing home now that she is entering second grade. None of us are ready for it. I don't think you'll ever be. But in order to get her in a mindset, I decided to kick-off back-to-school week with a fun project that's equally educational. 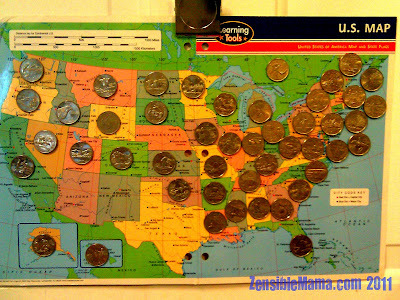 Do you know the 50 States by heart? If you do, I raise my hands to you. I can but name a few. Agent Pink knows a lot less than I do. Solution? 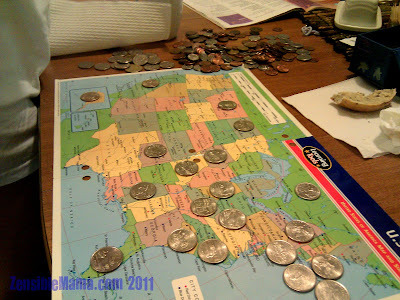 A project that helps identify the States partnered with our affinity with collectible coins! 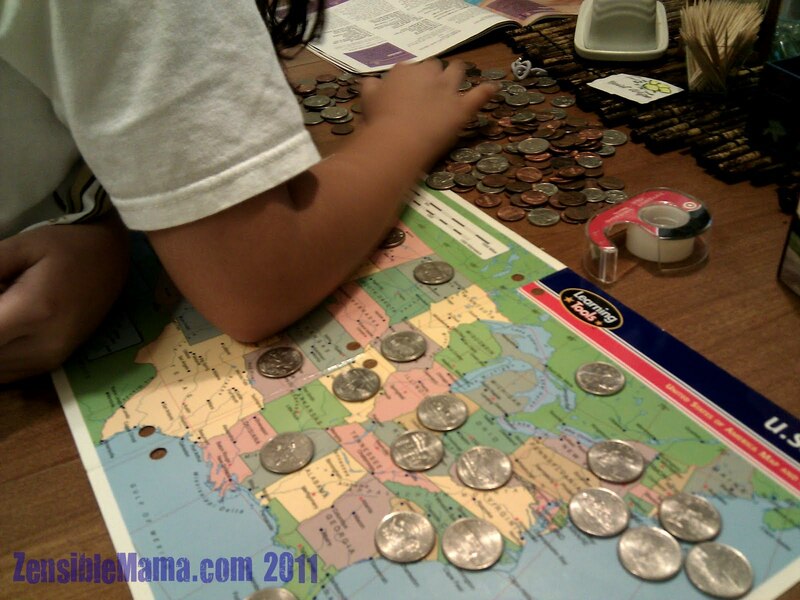 Just find the right coin and let your child find the States corresponding to the coin in hand. Let your child read the States out loud and continue placing the right coin on each States until completed. When completed, you can either frame your project or hang it where it's always visible for your child to see. 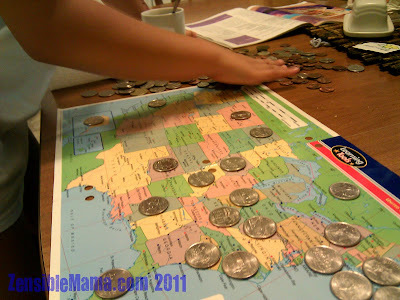 Though we lack 4 coins for 4 States, we are proud of our creation and are hoping to get our hands on the 4 lacking coins in our collection real soon to complete the project. It now hangs proudly on our kitchen door where my daughter sees it all the time to admire and check the States out. Geek Week: Google Talk Vs. Skype - Which works best? Fun ideas: Go wild with Summer colors! or not.